I’ve been intrigued by the Cosina CX-2 on and off for a while. It was supposedly the inspiration for the Lomo LC-A, a camera that I like a lot, but sometimes feel a little bit disappointed at the quality of the results. The Cosina CX-2 is said to have a better lens, yet in other ways is a very similar camera to shoot. 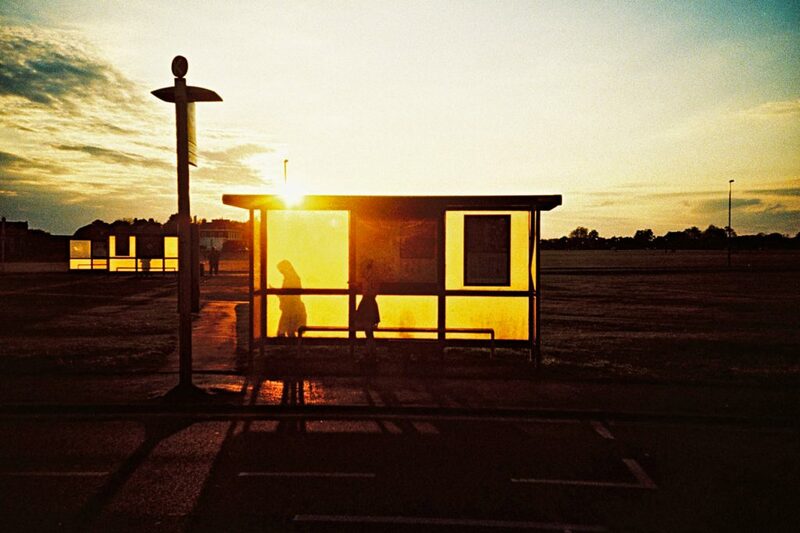 So after a short flirtation with an Olympus XA that decided to brick on me on its first outing, I thought I’d give one a go. The Cosina CX-2 is a very pocketable, scale focus, manual advance, autoexposure point & shoot camera. 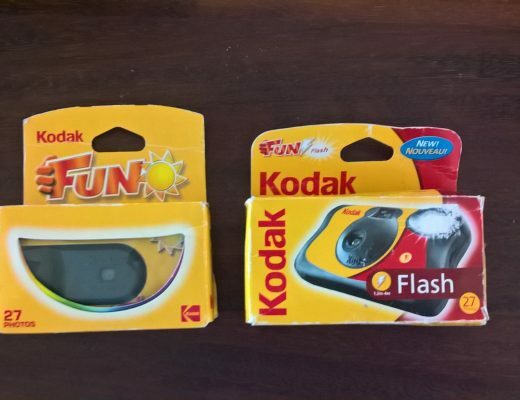 It has a 35mm f/2.8 lens, a self-timer, and an aperture control for setting the aperture when using the flash (it fixes the shutter speed to the flash-sync speed). It also has a manual exposure index control which goes up to 400, but apart from that, as I say, exposure is automatic. In other words, it’s a very simple camera – yet despite this, it manages to be a quite ingenious but of industrial design. 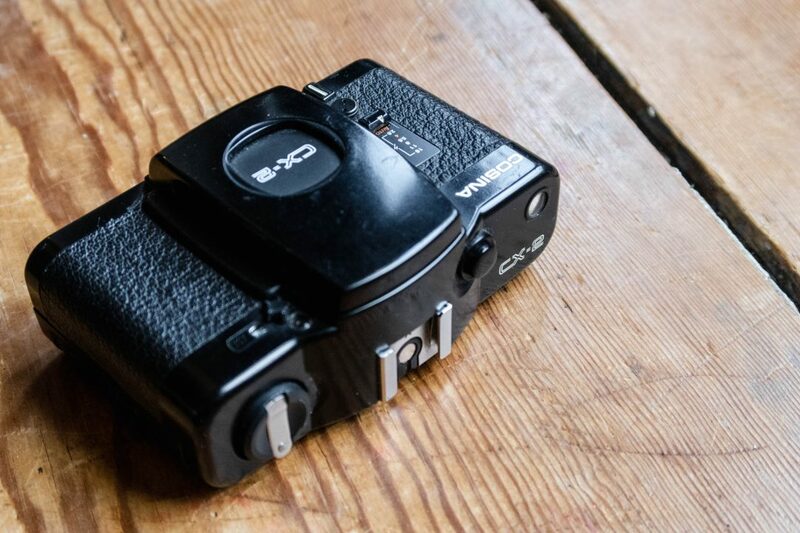 The design of the Cosina CX-2 is ever so slightly eccentric, and yet in many ways is also better thought out than it’s most obvious competition. 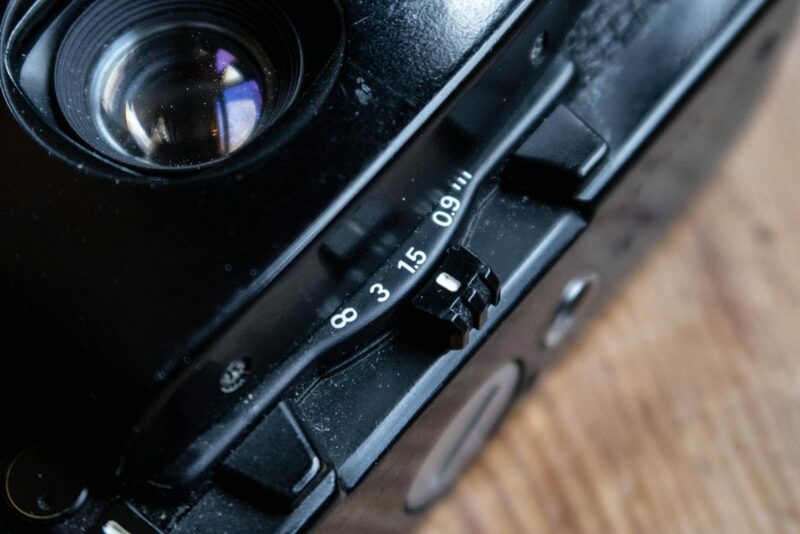 Like the XA series and Lomo LC-A, it has a manually operated lens door that when actioned switches the camera on. 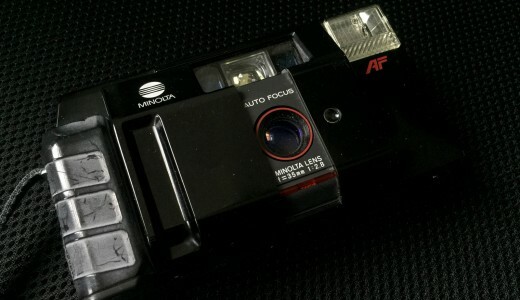 The XA has the sliding front door, the Lomo LC-A has a little switch the when switched reveals the lens and viewfinder. Both are quite neat, but neither are as satisfying or as beneficial to the user experience as the Cosina CX-2. At first glance, the front cover of the Cosina CX-2 might seem a touch over-engineered. The whole front part of the camera rotates around the lens. Rotating it reveals the viewfinder window at the top of the camera, opens a hatch to reveal the lens in the middle, and reveals the manual focus control dial that’s located at the bottom-front-edge of the camera. On my particular copy, this all feels very smooth and well-engineered – it’s plastic of course, but it doesn’t feel in any way cheap. The viewfinder in my Cosina CX-2 is a little hazy. It’s perfectly useable, but it’s certainly not crystal clear – I suspect the many of these cameras will have suffered this fate by now. The viewfinder itself has frame lines with a parallax correction mark, two information lights, and a set of scale focus diagrams along the bottom. The green light confused me to begin with as it lights up just to inform you that the battery is ok. I’d prefer a separate battery check feature – the green light glaring in the viewfinder every time you half-press just feels a little over the top for this level of information. The red lamp lights up to tell you when the required shutter speed drops below 1/60th, which is much more useful. The ingenious thing about the rotating front cover design is simply its shape. 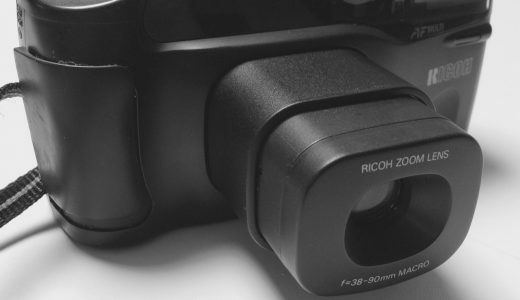 When closed, it covers all the important parts of the camera, including the focus control lever, thus preventing it from being adjusted by accident even when the camera is pocketed. As well as this, when the cover is rotated, a good amount of space opens up around the focus control lever. This means that when using the camera, focusing doesn’t feel too fiddly at all, even with the camera to the eye – which is quite a feat for such a small bit of kit. Distances are indicated within the viewfinder via the standard diagrams – head and shoulders for 0.9m, two people for 1.5m, three people for 3m, and mountains for infinity. Each of the marked distances has a slight click stop on the focus lever, though these clicks are light enough that intermediate distances can be selected with ease too. The focus scale on the bottom of the camera also has marked distances of 0.9m, 1.5m, 3m and infinity. With the camera to your eye, it’s therefore easy enough to relate these distances to the scale in the viewfinder. For example, if you think your desired focus distance is about 2m, you can set it to between the two people setting and the three people setting and with some confidence, know that you’ll be around the 2m mark. This might sound obvious, but the Cosina CX-2 makes it feel obvious, which is a big part of what also makes it feel so useable. In fact, I would go as far to say that thanks to the well-implemented focus lever, and focus scale inside the viewfinder, it’s probably one of the easiest manual focus cameras of this sort of size to focus with the camera to the eye. It might lack the rangefinder that’s found in the Olympus XA, but the symbols in the viewfinder are pretty much as useful as the very vague indication the XA’s short base length rangefinder gives anyway. 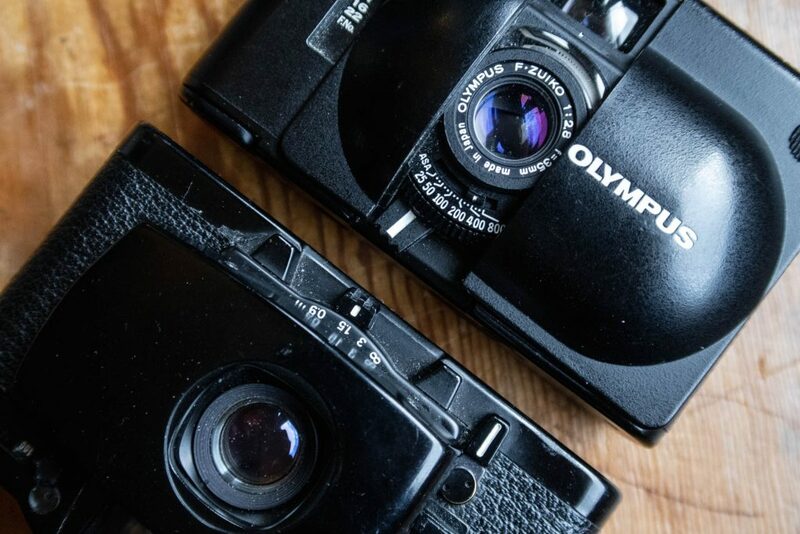 The focus control found on the CX-2 has a longer throw with more space around it compared to the XA too. Finally, if you prefer to preset the focus distance before raising the camera to your eye, additionally to the distance scale by the focus control lever, there is also a little window that shows the same diagrammatical scale that’s visible in the viewfinder. 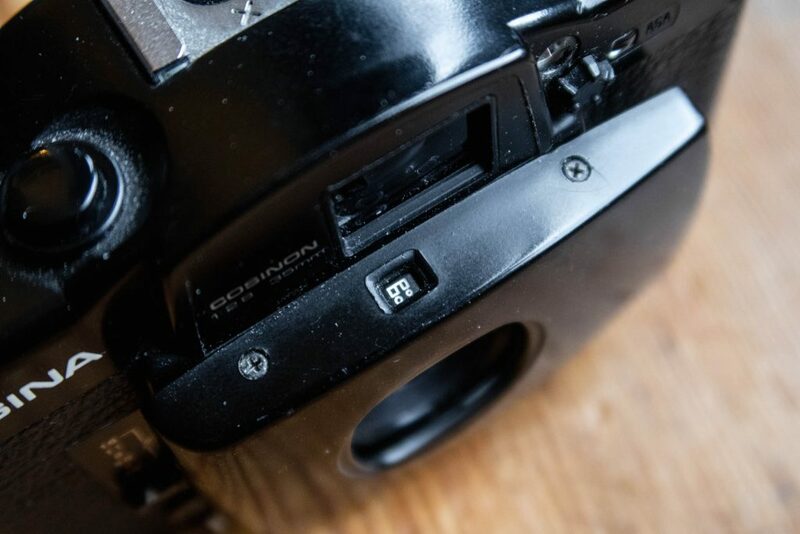 With this little window being on a surface of the camera that faces up to the user, the Cosina CX-2 feels more intuitive to shoot than the LC-A and Olympus XA2/3/4 too. Unlike all of those cameras which have more fiddly focus scales to the side of the lens, with the CX-2 you can easily glance down at the camera, adjust focus, then bring it to your eye and quickly shoot without needing to move your hands from the way you hold it to shoot. 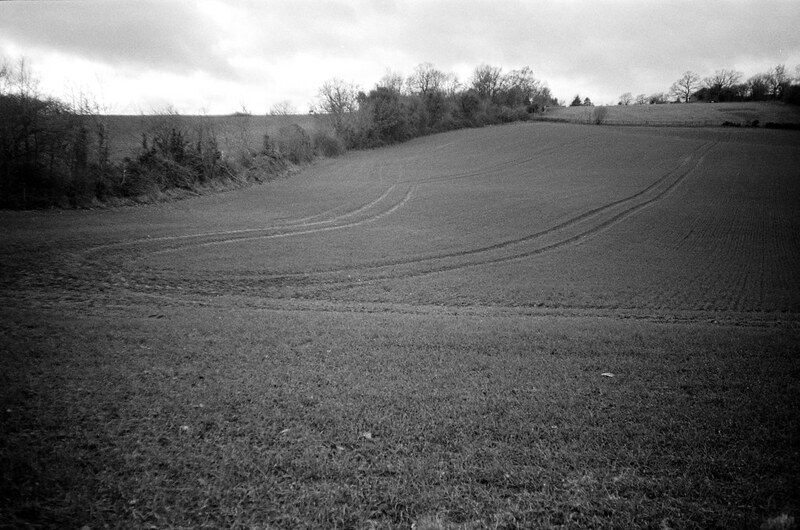 Another key advantage of the Cosina CX-2 feature set is its quiet function. The smoothly rotating front cover barely makes a sound at all. Thanks to it being manual focus, there’s no annoying lens noises. 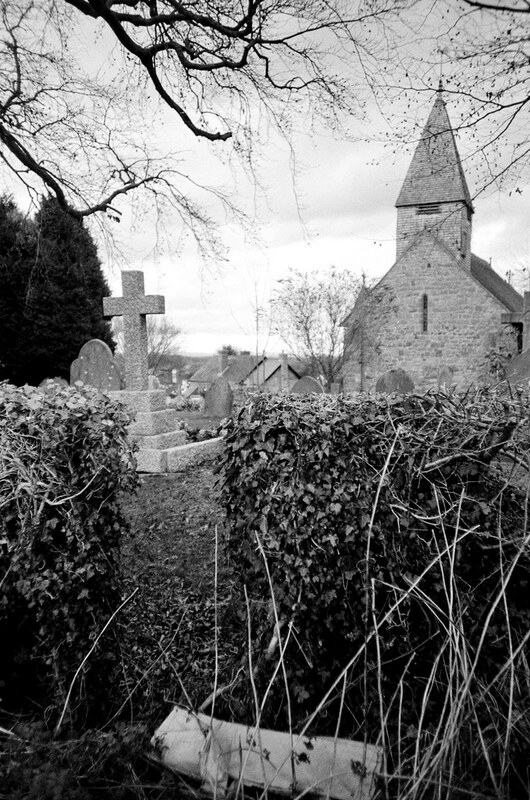 There’s also no noisy motorised film advance to contend with. The shutter is a tiny leaf shutter that – despite not the being quietest I’ve heard – is still very unobtrusive… That being said, there was something about the sound of the shutter that did put me off a little in use. 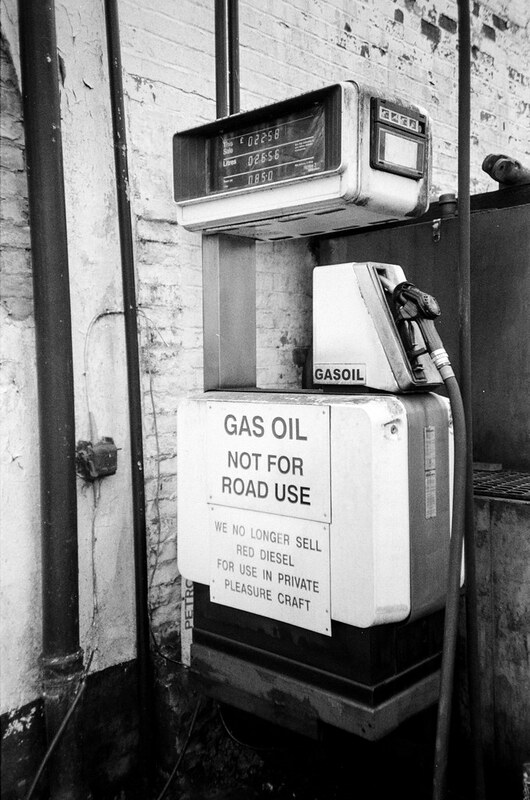 When I first got my Cosina CX-2 and set about making sure it worked, I must admit I wasn’t filled with confidence. 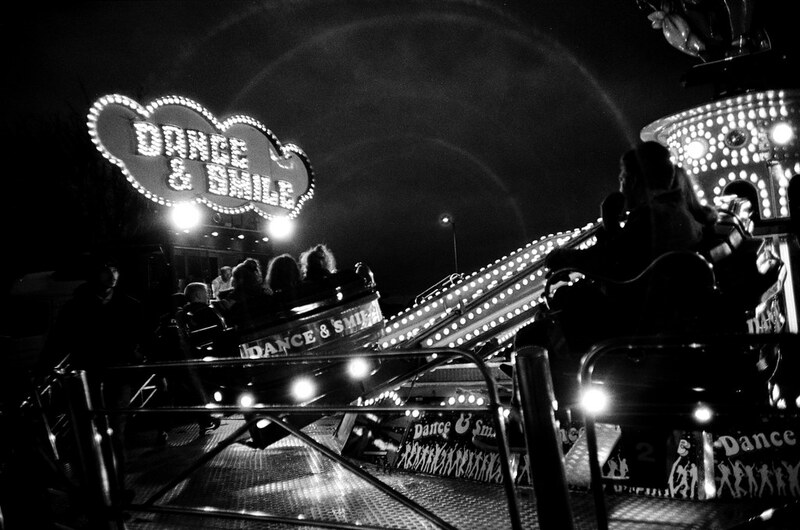 In fact, this feeling remained until I got my first photos back and found them to be perfectly well exposed. 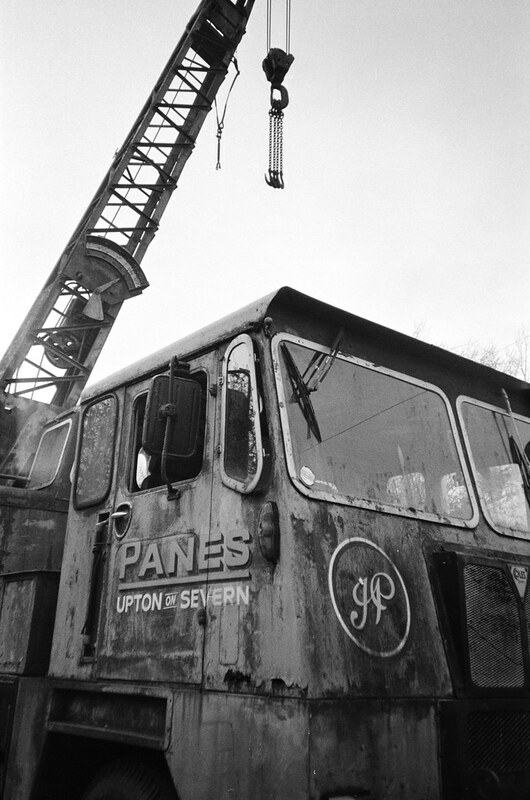 All my concerns about the shutter were alleviated when I got the negs back and found them to be fairly evenly exposed across the frames. 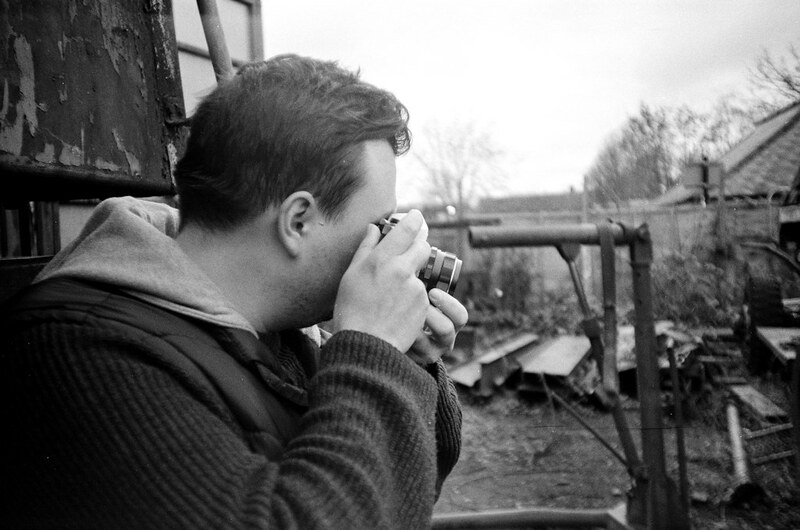 My first response to the first few frames was positive too – they seemed to be a little sharper than the LC-A… not to mention the relief in finding that I’d not missed focus too many times. At this stage, I did two things. The first was to inspect the lens with a bright light and the shutter open. The next was to message Stephen from Kosmo Foto, as I know him to be a fan of this camera. My bright light test proved there to be a good bit of dust inside the lens, and perhaps even what looked like a couple of smudges on one of the internal surfaces. 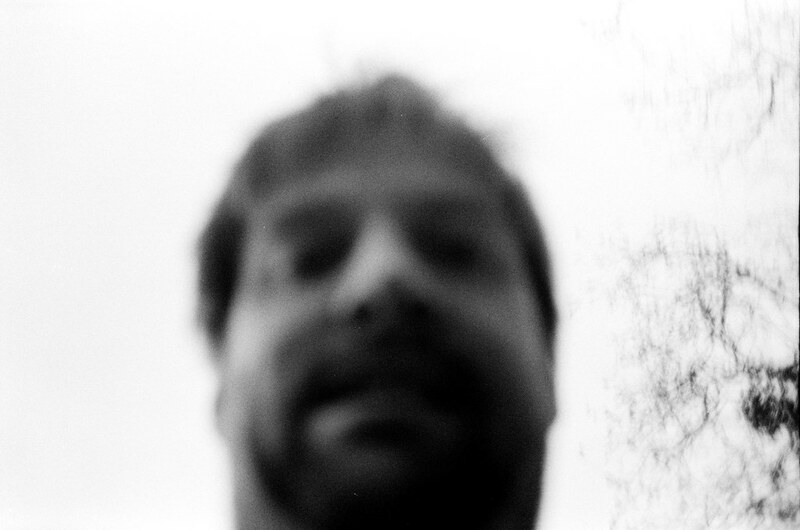 Yes, it does look like there’s something not quite right with your lens there. 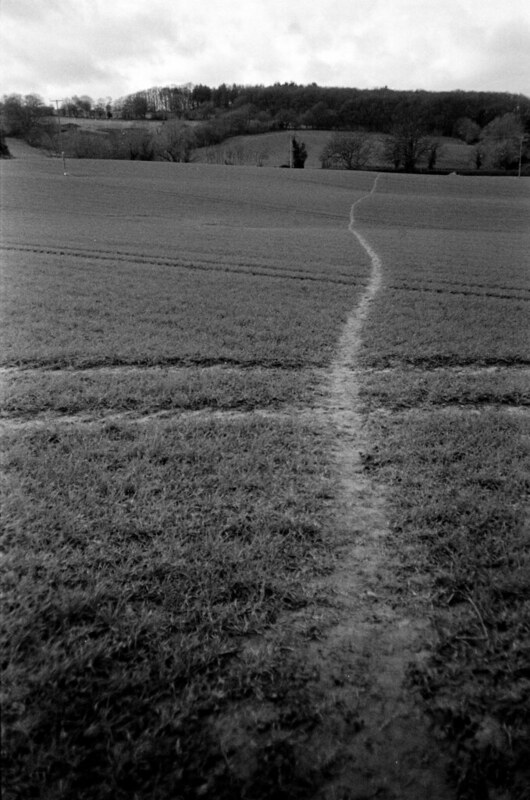 Also, there’s no reason why you can’t shoot black-in-white in a Cosina CX-2, but it’s not really making the most of the experience. It’s a bit like spending your stag night in a library. I can see what he’s saying, but actually, I quite like some of my cloudy-day black and white photos. I can also see that were the lens not be in need of a clean, they would have come out a fair bit better. 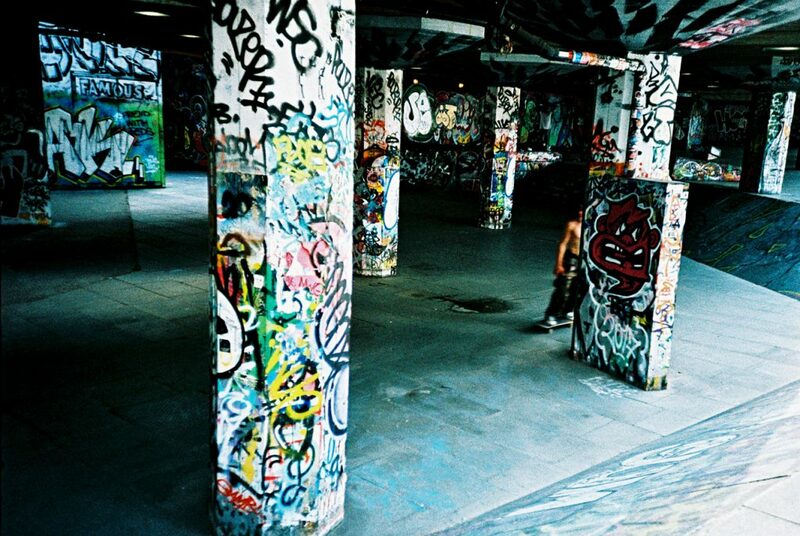 In short, even cleaned, I’m not sure how much better than the Lomo LC-A the Cosina CX-2 lens really is. It’s certainly not up there with the Olympus XA lens, which is a bit of a shame considering how much more I enjoyed the user experience compared to those cameras. 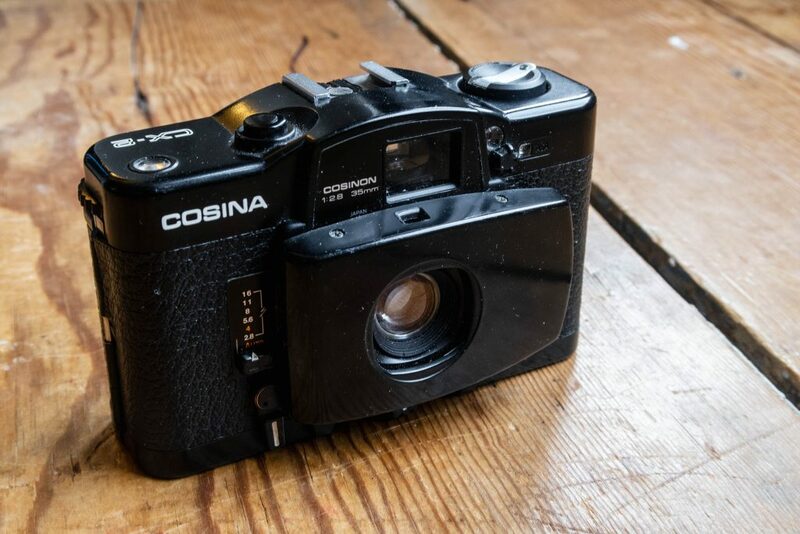 That being said, my experience of shooting the Cosina CX-2 has nonetheless been very enjoyable – and to a certain degree wasn’t even let down by finding out that my particular lens is in need of a bit of TLC. Even in perfect condition, the lens might only be slightly better than the one found in the Lomo LC-A that copied it, but the camera itself is a much more enjoyable camera to shoot! 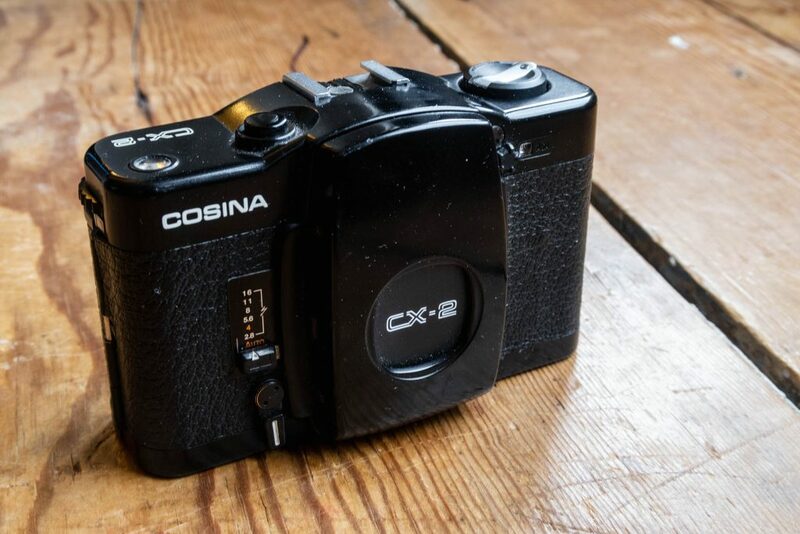 From an industrial design point of view, the Cosina CX-2 genuinely is a wonderful thing, and something that I have therefore enjoyed exploring even if the outcome hasn’t been quite as I hoped! In fact, I think I would even go as far to argue that it’s probably the best-designed camera in its class! And of course, if you can make the lens work for you as Stephen does, then you’re definitely on to a winner! I’ve been through 2 of these and have never got on with them. Part of it is my hatred of zone focussing and the other is just an overall disappoinment with the lens and the results, though of course this could be end user error. I picked up one of these—with the winder and flash—last year sometime, and it is, indeed, a brilliant example of industrial design. The meter in my copy is faulty: it exposes fine at 400, but overexposes by around 2 stops for all other ISOs, so I don’t shoot it much. 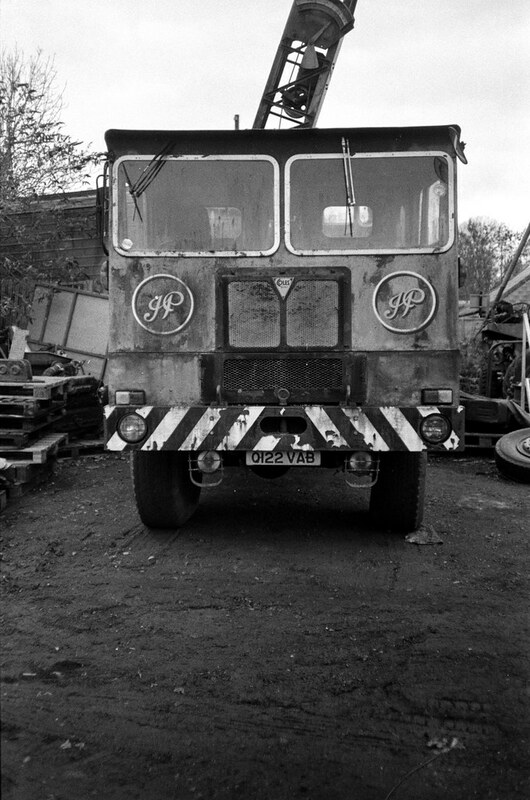 The lens on mine is clean enough, and it seems to me to be virtually identical to the Mintar on the LC-A, with the most “interesting” parts of the Mintar—the heavy vignette—cropped of. 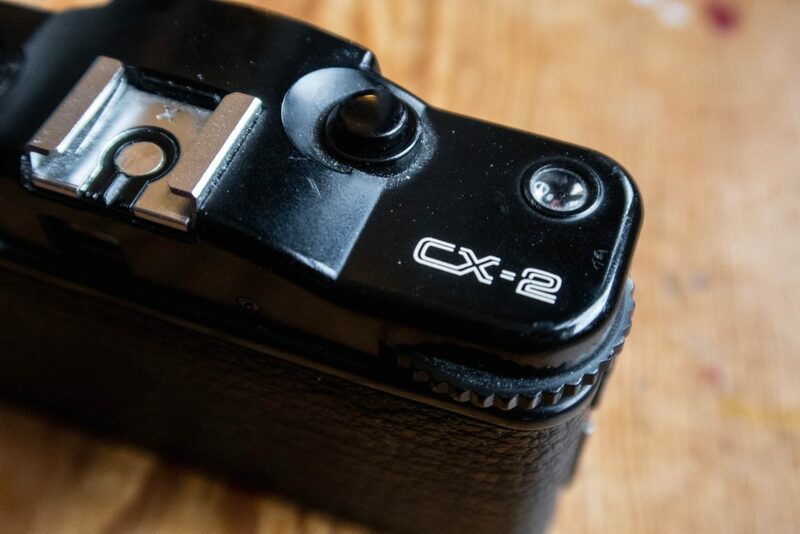 For me, the CX-2 would hit a sort of sweet spot between the XA and LC-A, with, as you mentioned, better ergonomics than either (though I hate scale focus) and some really nice character from the lens, sharper and less prone to flare than the LC-A, but not quite so clinical as the XA. 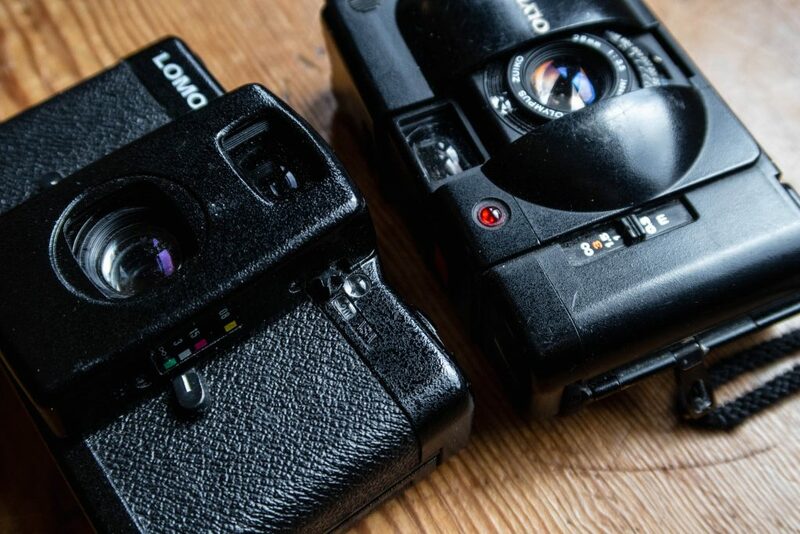 It’s too bad that cameras like the CX-2 and XA (and original LC-A) are no longer produced. The new LC-As are fine, but slightly expensive and a tiny bit limited with the removal of the aperture selector for flash. And the now nearly 40 year old XAs and CX-2s aren’t going to hold up forever: most have already died. Not sure that most XAs have died, they use CdS meters and simple aperture-priority and electronic shutter releases- pretty similar setup as most “unkillable” SLRs from the same time period. At any rate, mine has no issues, only needed light seal replacements when I got it. Meter is still dead on actually. Love the review and images, as always. Mine vanished for a long while and I just found it again. Need to take it out so loaded up some Ektar 100. 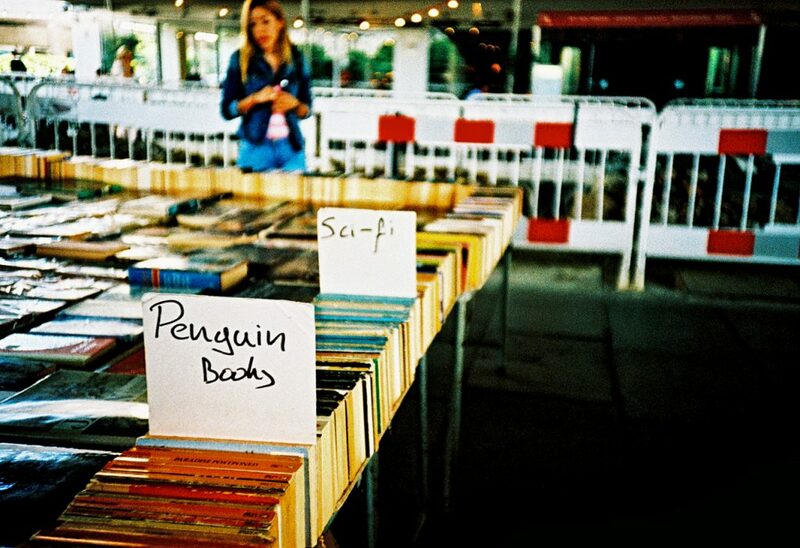 Here is an ancient shot when first I got it, back in 2007. 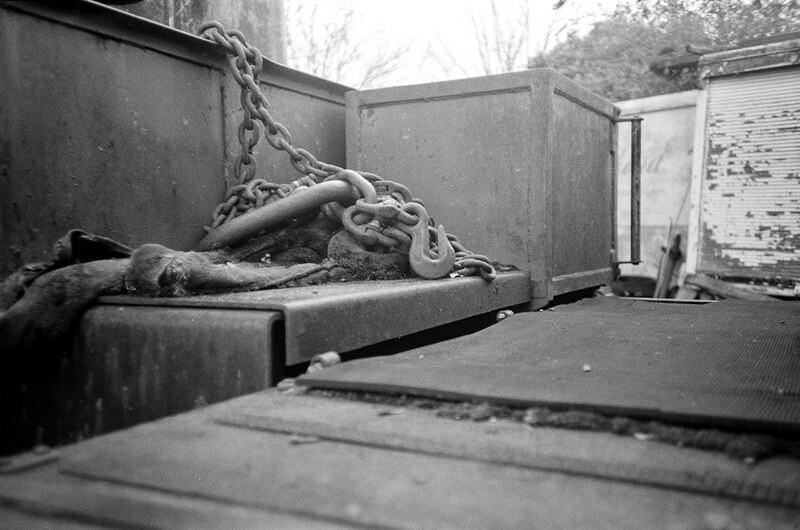 Personally, I have a soft spot for Cosina cameras, especially the Vivitar-branded 250-SL, what a camera! They just work. 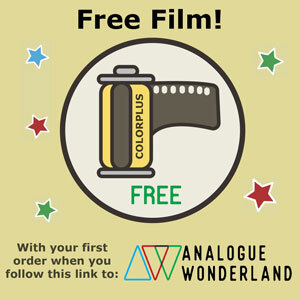 I must say, I am a bit jealous of the Cosina highlighted in this post. Hamish, check out this link: http://camerapedia.wikia.com/wiki/Cosina_CX-2. The camera supports a motor attachment! How cool is that? Adam, I think that this is a good feature of the CX-2 for two reasons. Firstly, having a motorized film transport as an option and, secondly, although it adds weight and increases the overall size, I found the CX-2 handled better with the motor drive attached. I got my first CX-2 as a kit in the late 1980’s with the motor drive and flash. I subsequently lent it to a friend on long-term loan and unfortunately it was stolen when she was burgled. Although I still had the winder and flash I decided to replace it with the Olympus XA. It was only last year that I went on a nostalgia trip and bought another.